Commercial warehouses and manufacturing facilities place tough demands on all structural systems, including the roof overhead. 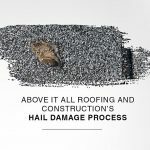 That’s why it pays to invest in a roofing system from Above It All Roofing and Construction, Inc that will deliver many years of reliable service and protection. Whether your building’s roof is flat, low slope or steeply sloped, our experienced roofing professionals can design, install and maintain a roofing system that effectively protects your inventory, equipment and personnel from the elements. Thermoplastic membrane roofing (TPO) that is ideal for flat roofs. TPO roofing features an advanced membrane that delivers dependable coverage over a wide area, and is particularly suited for roofs where drainage and pooling can be a problem. 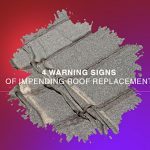 TPO is also a component of “cool roofs” that help reduce a building’s energy requirements, helping to cut utility costs for heating and cooling. Metal roofing, including standing seam roofs that are among the most durable and protective roofing systems available. Metal roofing can be installed in low slope or steeply sloped environments, and stand up to winds of up to 125 mph, as well as providing the best protection against fire and hail damage. Asphalt shingle roofs offer a traditional and affordable alternative for smaller area roofs, or for roofs where aesthetics are important. Available in a wide range of colors and styles, asphalt shingles are durable, easy to install and can come with warranty coverage of up to 30 years. Of course, even the best roofing materials are only as good as the team that installs them. That’s where Above It All Roofing & Maintenance excels. We have invested the time and effort to become factory certified by the nation’s leading roofing manufacturers, including GAF, Owens Corning, CertainTeed and Versico. That means we can give you access to the highest quality roofing products, properly installed, and backed by the best warranties available. 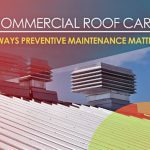 Because the roof is such an important structural component of your factory building or warehouse, it makes sense to maintain its integrity and performance with regularly scheduled maintenance. 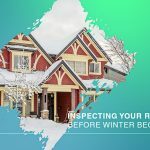 Above It All Roofing and Construction, Inc will conduct regular inspections and routine maintenance to identify problems before they spread and affect roof integrity, preventing expensive repairs and downtime. 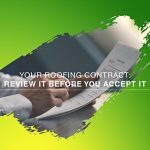 Protect your manufacturing, distribution or warehouse facility with a reliable roofing system from Above It All Roofing and Construction, Inc. Contact us at one of our two locations: 6575 E Skelly Dr, Tulsa, OK 74145 ((918) 398-6595), or 16325 N May Ave, Suite A10, Oklahoma City OK ((405) 843-2533). We would be happy to provide you with a free evaluation and estimate on your commercial roofing project.